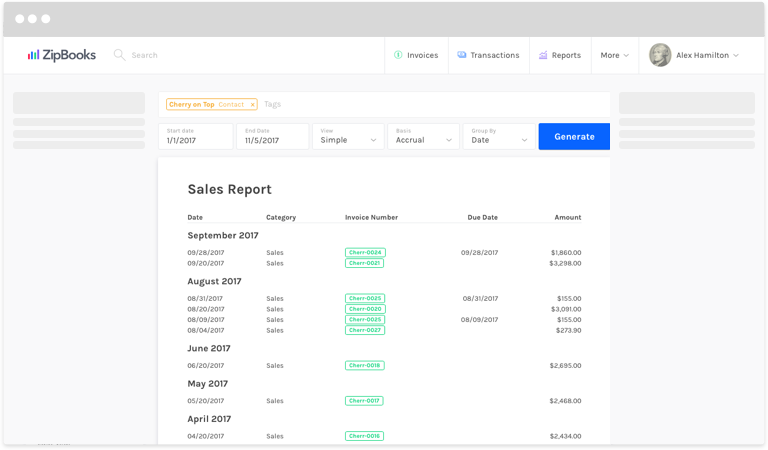 With ZipBooks, it’s a snap to view information about each of your customers, and the level of sales each of them are bringing in. Click on Sales Report in the menu on the left. In the Tags field, put the name of the customer you need to see information for. That’s it! Only records for sales to that customer will appear in the report. Further filter the information by changing the Start and End Dates. To see more about each sales transaction, change the View to Detailed. Change the Basis from Cash to Accrual as needed.